As you may have heard, Etsy Trend Expert Dayna Isom Johnson has officially dubbed 2019 the year of being real. So, we’re kicking off the new year with “gentle resolutions”, AKA attainable goals. Whether you want to get just a bit more organized or add a tad more R&R to your daily routine, Etsy is here to help you stay on track and hold yourself accountable for those small changes (that could have big results). The struggle to find the perfect planner that best fits your lifestyle ends here. Many Etsy sellers offer a number of personalization options – from curating your own layout to monogramming the cover with your name or initials, creating the perfect planner just for you. Say ‘so long’ to 2018, and freshen up your space with a brand-spanking-new calendar. Whether you opt for an out-of-this-world moon phase chart or prefer a classic year-at-a-glance, Etsy is home to over 215K calendars, so you’re sure to find one that fits your personality. Kickstart your “gentle” health-related goals with some new gear that can help you get excited to get moving, encourage you to drink more water, or inspire you to try out that new class you’ve been eyeing. Track your progress and stay motivated all year round with these goal-busting sidekicks. We’re talking everything from gratitude journals, to habit trackers, to meal prep calendars, and everything in between. Calling all busy bees: If rest and relaxation were put on the back burner this past year, it’s time to make them a priority. Etsy sellers are making it easy (and fun) to prioritize wellness, offering infused face masks, luxury candles, bath bombs, and much more. Pro tip: you can work directly with many Etsy sellers to customize bath and beauty products to fit your individual needs. 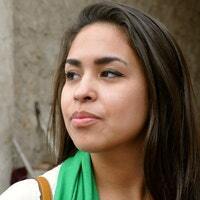 Erica Waters is a Communications Coordinator at Etsy. In addition to discovering fun Etsy finds, she writes about makeup and skincare and is always on the lookout for affordable beauty trends and home remedies. She’s also a self-proclaimed matcha-aficionado, and usually has a cup of the green stuff in hand.